A simple solution to get you connected to your existing and potential customers comes through Google Places. So how does this new Google search feature help you in your business aside from cutting costs for getting free advertisement? Your business would become quickly visible and accessible to millions of people from around the world. Most people use the web in trying to locate businesses for convenience and Google search engine or Google Maps are practically the places they use to look up. You can use it to create your own business listing or Place Page without paying a dime. Even if you don’t have a website of your own, when potential customers use the Maps to look for info they can get all your business details which include your address, telephone numbers, business category, hours of operation, your product’s photos and other relevant details about you. User-friendly enough for you to manage and edit or update your Place Page real time- easily. This ultimately means that you can maintain an active presence on the internet. You can also keep track of the number of visitors you have on your listing. People do not necessarily need a computer in order to reach you. With Google Places, anyone can still reach you using their PDAs or mobile phones. You can make your listing outstanding and appealing to the eyes by adding vibrant photos of your shops or business, as well as videos. You can also personalize categories, add directions and place coupons to encourage customers try your product. Again all these first-class capabilities are absolutely free-of-charge. It doesn’t matter what type of business you have or whether you have a series of restaurants or a single flower shop. Big or small, your business will be accepted. It is a growing trend as a great internet marketing vehicle and that’s why if you want to see your budding business reach places soon, better sign up and have an account without having to spend thousands of dollars. Now, it is fuss-free as well. There’s no reason for you to fret about the sign up or set up process. It’s pretty much the same as what you probably are used to doing as a business owner. All you need to do is spice it up a bit and you’re good to go. Finally, as in any business endeavors, achieving your goals would be the most crucial point. This online device would be the most exciting way to successfully climb up the ladder. In fact, it can be your best opportunity to shine, get prospects’ attention, increase your ranking, and then soon increase leads, closed sales, and voila! Great profits. If you haven’t checked it out yet, it’s not too late. It is effortless to sign-up. If you want to start reaching out and communicating to your target market, Google Places is an exciting opportunity to flaunt your best. 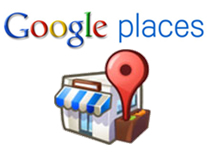 To know more about Google Places, visit this page.